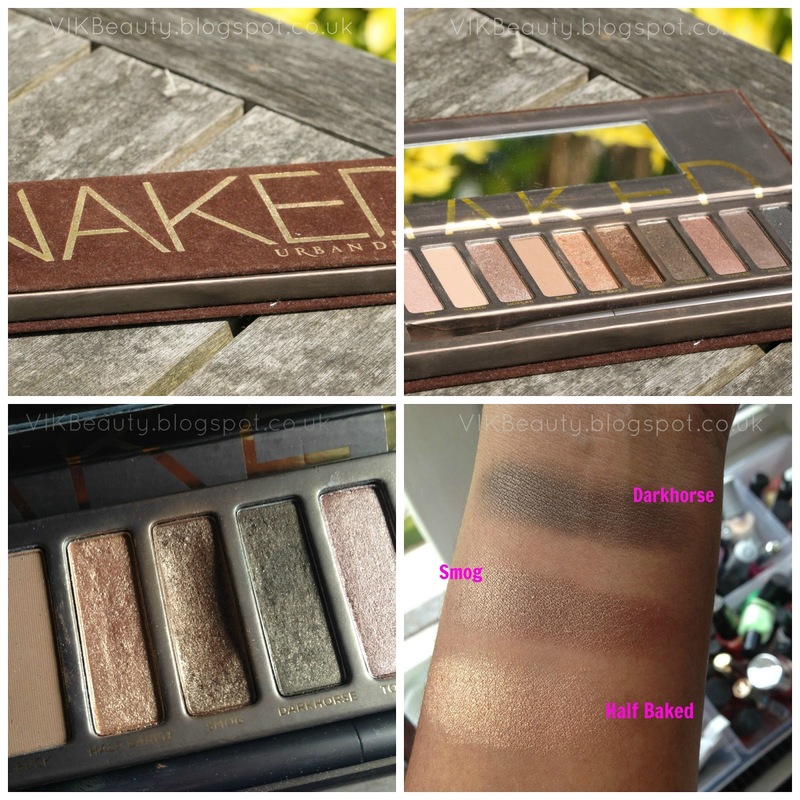 I thought it would only be fair to write about a palette that I reach for almost all the time. Well not all the shades in the palette, but three shades in particular. This isn't just because this palette is strategically placed on my makeup table and I can reach for it far quicker than my other ones, but I do really like it. The Urban Decay original NAKED palette isn't new, it's been around for a while now. I remember when it came out, a lot of bloggers were going crazy for it. 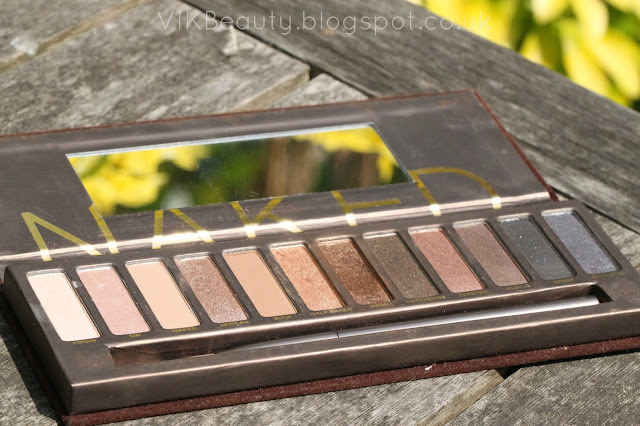 There are now a number of palettes in the Urban Decay Naked range. The palette has tweleve neutral shades ranging from glitter to shimmer to matte textures. They are also extremely pigmented which I really like. I do find though that the eyeshadows do tend to crease after wearing it for a long day. Yes I do use a primer beforehand, but I think it's down to my oily skin. What are my three "go to" shades I hear you ask? They are Half Baked, Smog and Darkhorse. These colours may seem boring to some of you, but they make a great smokey eye and compliment my skintone really well. Darkhorse is a dark bronze shimmer. The picture actually makes it seem as if I haven't used Darkhorse that much at all, but I have. I think it may just be the angle. Smog is a golden brown shimmer and Half Baked is a bronze shimmer. Aren't they gorgeous? Like I mentioned above, this palette is definitely great if you want to create various day looks or smokey eye effects. I think there is definitely a shade for every skin tone. 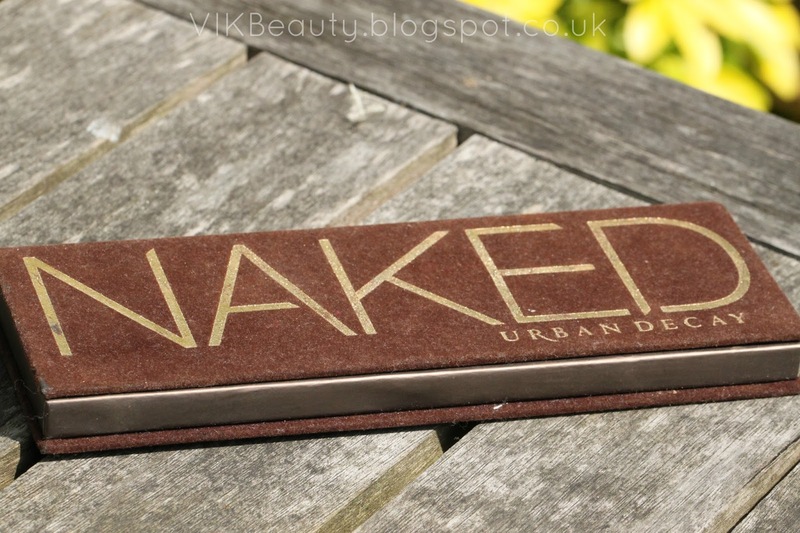 This palette retails at around £36 and you can pick it up online at various beauty supply stores or at department stores where they stock Urban Decay such as Debenhams if in the U.K. So do you have that palette where you only use the same few shades? I would love to hear your thoughts! *** Don't forget you can follow me on twitter, bloglovin, facebook & instagram!